Original plantation lands were located southwest of Charles Towne Landing State Historic Site at 2 St. Augustine Drive along SC 171 in the vicinity of Wespanee Subdivision. Current status  No longer exists. All of the land has been developed. Francis Blanshaw received a grant of 200 acres in the Wespanee locality on the west side of Old Town Creek. He used the name Westpenny (6).
?  The property passed ownership from Blanshaw to Peter LeSade. The LeSades family also owned nearby Old Town Plantation (6).
?  Peter LeSade gave the 200 acres of Westpenny and 250 acres from Old Town Plantation to his daughter Anne LeSade Girardeau (6). Circa 1723  Andrew DeVeaux was Westpenny's next owner. He was the second husband of Anne LeSade Girardeau. He lived there for many years, probably until his death in 1770 (1, p. 5 and 6). Circa 1772  Sometime after DeVeaux's death, Alexander Perronneau Jr. became the plantation's owner (6). 1776  The plantation was part of Ann Horry's trust. She changed the name of the property to Fairfield (1, p. 5 and 6).
?  The plantation would next pass from Ann to her son Elias Horry (6).
?  Harriet Horry Frost, Ann Horry's granddaughter, inherited the plantation (6). 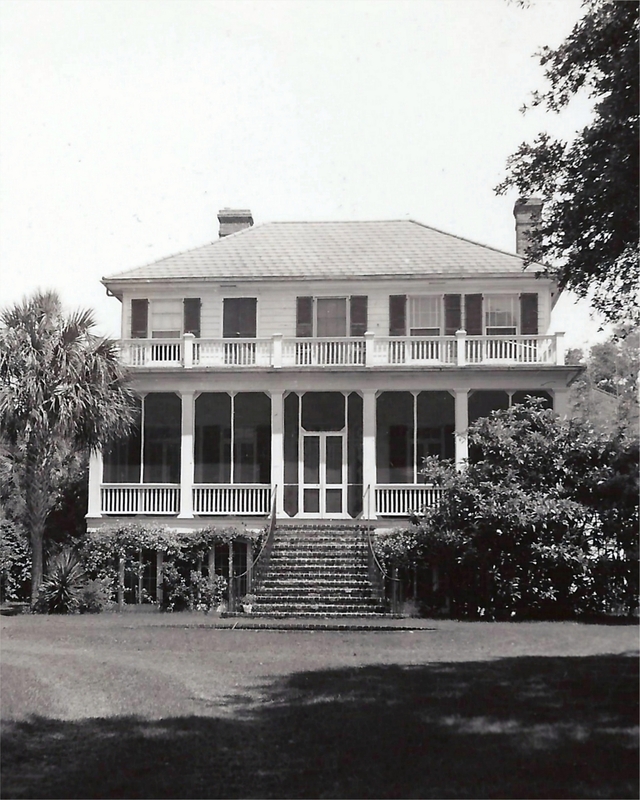 1916  Charles Stevens Dwight purchased the plantation. He changed the name from Fairfield to Wespanee and built the house pictured above. Dwight divided the plantation's land into large tracts that were developed into housing developments. He retained 77 acres (6). 1963  Dwight passed away and all of the plantation was sold to the Wespanne Land Corporation. The acres of high land was divided into housing lots (6). 1965  The house and surrounding land was conveyed to C. Capers Smith by the Wespanne Land Corporation (6). 1972  Col. Walter B. and Ellen P. Clark purchased the house. The Clarks remodeled the house and added a kitchen wing (6).
?  The plantation had a beautiful avenue of live oaks that was captured several times in painter Beth Verner's pieces. The state of South Carolina condemned the property the grand oaks were cut down to build an interstate connector (5). There had been earlier houses on the property before the one built by Dwight. It is believed Federal troops may have burned one in 1865 (6).